Prime location within walking distance to shops and restaurants on Canton Street and Roswell Park. 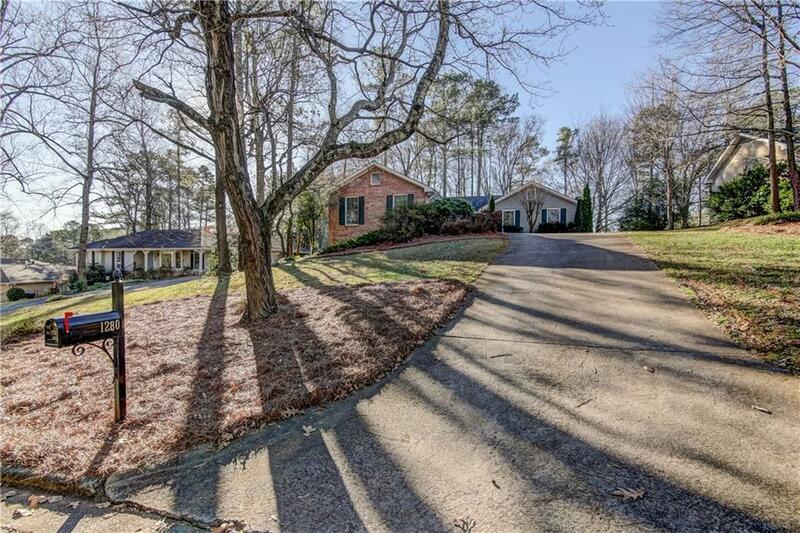 Updated ranch features a great floorplan with elegant hardwoods throughout most of the living areas. Cozy up to the fireplace in the vaulted great-room, or spend time in the sunroom where walls of windows and skylights allow loads of natural light in. Completely renovated Master bath with separate vanities and a frameless shower. Light and bright eat-in kitchen with ample storage and granite counters. Back deck overlooks private, wooded, fenced yard. Directions: North On Canton St To Left On Thompson Pl. Left On N. Coleman Rd. Right On To Lake Crest Dr. Right On To Land O'lakes Dr. Home Will Be On The Left Or North On Alphbaretta Hwy To Left On Magnolia. Right On To N Coleman Rd. Left Onto Lake Crest Dr. Right On To Land O'lakes Dr. Home Is On The Left.